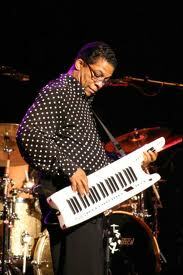 Herbie Hancock is one of my musical heroes and this was my first time seeing him. Overall I was bit disappointed and not because Herbie did not play well. The show at Minneapolis’s Orchestra Hall was short (less than 90 minutes) and stuttering. This was a solo show and Herbie has made his reputation as the consummate team player and collaborator and not as a one man show. So I guess it is not too surprising that Herbie had some brilliant catches and a few fumbles. Herbie took both the solo piano on the concert stage approach and the studio wizard one man band approach. He also chose to take an entire career retrospective in 6 songs – or in one case one song. As far as short: I am big portions clean your plate sort of guy and anything short of two 70 minute sets would have left me feeling less than full no matter how good the meal. This was just one short set. As for stuttering – how do you play early 60’s bop, Headhunters funk, and contemplative solo piano all in the same show separated by awkward spoken word introductions/stories and not feel a little disjointed? At the same time within the performance of each piece there was brilliance. 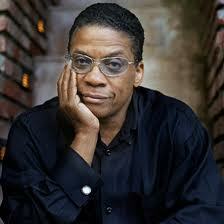 Herbie started the show with a radical deconstruction of Wayne Shorter’s Footprints a solo acoustic grand piano. This is a song that Herbie has probably done hundreds of times so he brought a familiarity to it yet at the same time had the musical intelligence to deconstruct it in a most avant garde way. As Herbie said – this is not your garden variety of Footprints. It was not and it was wonderful. Next he played his own Dolphin Dance, again on solo acoustic grand . A song as familiar to Herbie and his fans as the backs of their hands. He brought amazing improvisation to the piece and turned it inside out and back again repeatedly teasing us with the theme. Wonderful. Next came a piece I was not familiar with: Sonrisa from a fairly obscure Japanese import (I only know this due to a preview in the StarTribune.) Here Herbie started his one man band schtick. Starting on solo acoustic grand. After an introduction of the theme, Herbie added some samples. As the piece progressed the samples became more complex and orchestrated. I really enjoyed this. After the show my wife (who comes from the George Winston school of jazz) said she wishes Herbie had played it straight. I loved it, but I understand. This is where Herbie could have benefited from two sets. One set straight solo piano and a second set as the one man band. Next came a very contemplative rendition of Gershwin’s Embraceable You. Again Herbie took the approach of pulling the song apart and then putting it back together. Although unlike the first two songs of the night this was much more of a quiet prayer than in your face jazz. A fun approach given the familiarity and the sentiments of the tune. Then for me came the real highlight: Cantaloupe Island. This is one of my favorite Herbie Song. He made the song a career retrospective by starting out at the acoustic grand, then adding samples, then spinning to an electronic keyboard and finally to a snyth ax for a full on Headhunters rock star solo and finishing up on solo acoustic grand. WOW! Herbie did not screw around with an encore and instead snapped on the samplers, strapped on the snyth ax and funked it up with Chameleon. Total fun and then he was gone. So in conclusion each piece was fantastic, but Herbie did not pace it well and thus what could have been a very memorable concert turned out a bit of let down. Axl I seen Herbie after he released Head Hunters. One of the first live shows CB ever saw and the first ever Jazz concert. It was a great musical experience. Very cool. Not to blow smoke but your content is really in the vein I was looking for. Real good mix. I’m like a dog, I’ll gorge and come back for more later.